Race weekend in Dover always brings tens of thousands to Dover International Speedway. The track was completed in 1969, and Richard Petty won the first NASCAR race on the track. Capacity was as high as 135,000 in 2001, although it has since been scaled back to just under 100,000. 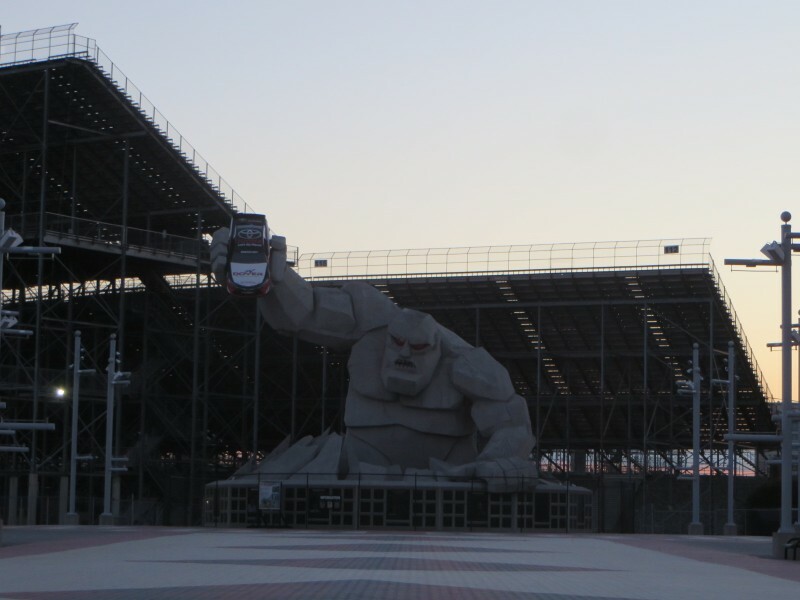 Since the track is known as the Monster Mile (and White Lightning), the mascot is Miles the Monster. The Monster Monument was dedicated in 2008 and is 46 feet tall, making is the biggest depiction of a monster in the world. Photo by xzmattzx.